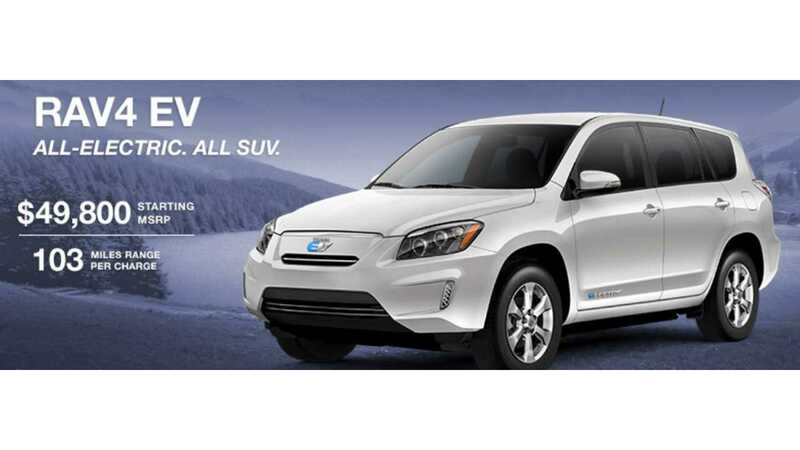 It has been no secret that the RAV4 EV was a limited run vehicle focused on netting Toyota CARB compliant ZEV credits ahead of the company's introduction of the fuel cell Mirai (which racks up three times the credits per car) later this summer in the US. 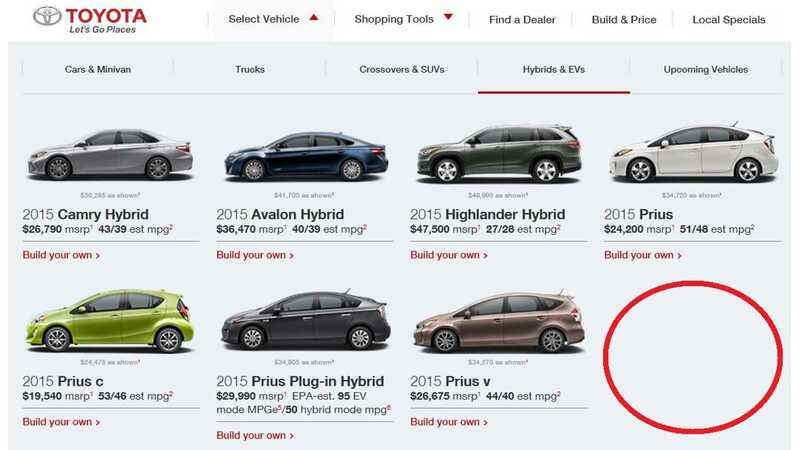 In total about 2,600 all electric RAV4 EVs were made, and if you have been following the sales of plug-in vehicles in America (sales scorecard here), you know that there is precious few of the 103 mile EV remaining to be sold.  In fact, 2,472 have been sold through December 2014. And given that 70-80 or so of the total produced likely won't ever make their way into the public's hands, that leaves perhaps 60 copies at most left to be moved - we could only find about 20 in inventory ourselves. 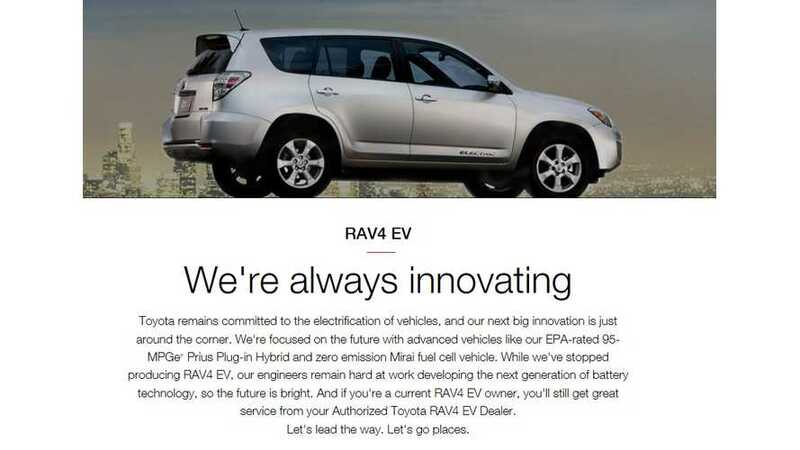 However, officially signalling the end of the RAV4 EV is Toyota's removing it from their website and other sales literature. Today, while you can no longer find the RAV4 EV for sale at Toyota.com, you can still find a little historical write-up of the SEV in its place. Toyota also takes the time to promote the Prius PHV and of course the Mirai, while noting that they are still working the "next generation of battery technology". Unfortunately there is no mention of any next generation of electric vehicle those batteries would be going into. We suspect at some point Toyota will soon be pressured (or forced via CARB) to once again release a pure electric vehicle. Hat tip to Doug A!